The Balearic Islands are a synonym of holidays, beaches and nature. Discover its beautiful beaches, mostly made up of several whitish sandy coves and turquoise water which represent one of the best Spanish coasts where you can make a quick getaway. Each one of its islands is unique which is why it offers an endless number of possibilities where you can find its characteristic nature sites, monuments or leisure areas. If you're thinking about renting a car in the Balearics and experience one of its islands by road, you can enter our web and find several models inside our fleet available in each destination. We're a leading company in the holiday rent a car market in Spain and Europe with a wide fleet of vehicles available at your service. The Balearic Islands are an archipelago located inside the Mediterranean sea, opposite the eastern coast of the Iberian peninsula. 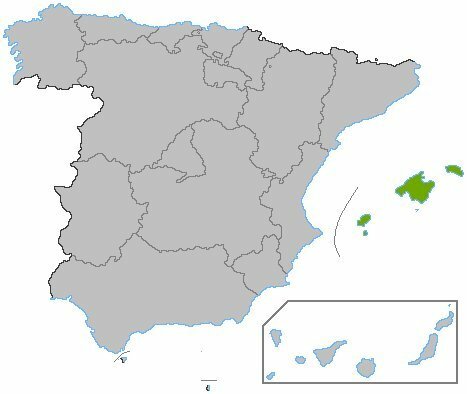 The autonomous community of the Balearic Islands is made up of five islands: Majorca which is the largest on in Spain, Menorca which has been declared a Biosphere Reserve due to its characteristic ecosystem, Ibiza known world-wide because of its attractive nightlife, and last but not least, Formentera and Cabrera. Car rental Balearic Islands Discover a group of areas equipped for sports and cultural activities and an impressive natural heritage. 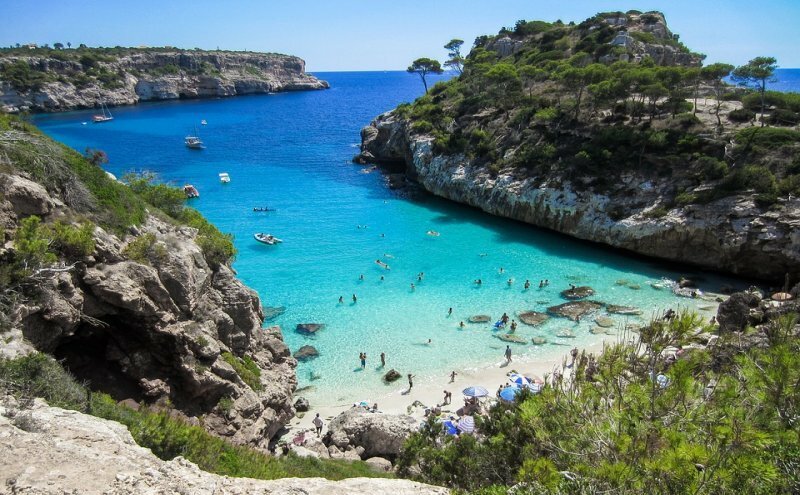 Whether you tour each one of the islands in the archipelago or deeply get to know one of them, you should plan your holidays in the Balearic Islands. From the amazing Majorca in search of perfect beaches to the renowned coves in Menorca, going through the multicultural and cosmopolitan Ibiza, you will have the freedom to explore their Mediterranean landscapes and gastronomy with your rental car. If you're looking for a budget friendly car rental in Majorca with the best service at your fingertips, then don't miss the Key'n Go pack included in your Palma de Majorca destination. Key'n Go is a quick key pick up service for rental cars, no need to visit the counter. Forget about queues during your holidays and get your car keys in less than a minute. 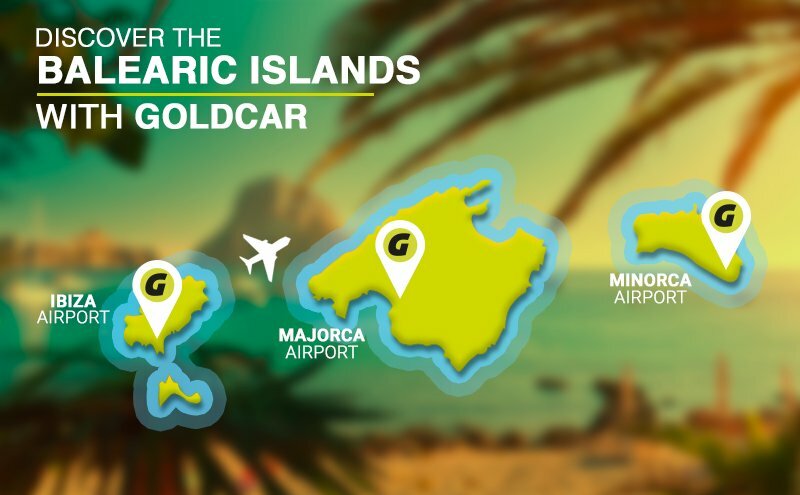 By picking Palma de Majorca as your destination, you can get this pack at a special rate is you choose it during your selection process for Goldcar rates. Pack your bags and embark on the adventure with an easy and quick travel experience with our exclusive Key'n Go service.